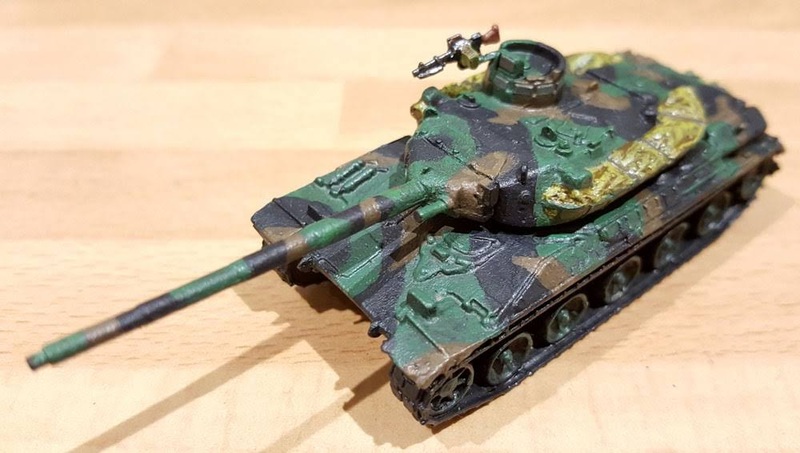 I recently painted this 15mm-scale AMX-30 B2 MBT for my friend & gaming comrade, Tim. 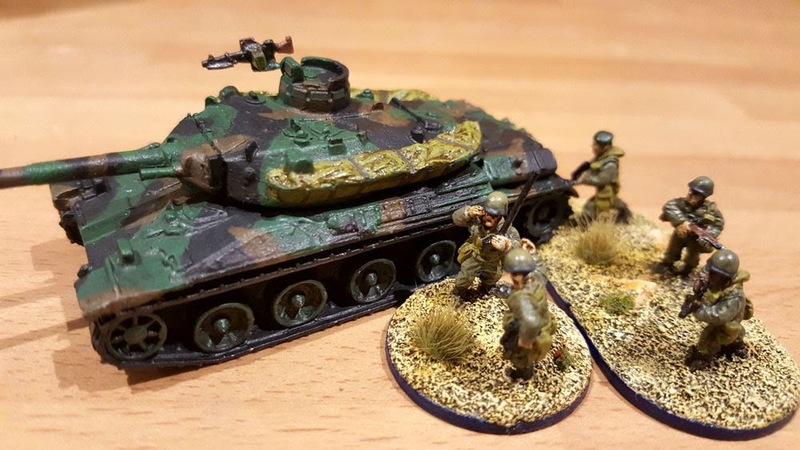 This is another wargaming piece that I bought for Tim as a birthday/Christmas gift a few years ago, to support his French Foreign Legion Paratroopers. As a follow-up gift I've been basing & painting the force for Crossfire gaming. This tank should provide some heavy armour & hitting power for his elite French paras, as they try to keep the peace between Israel, Palestine, & Syria in early 1980s Lebanon. 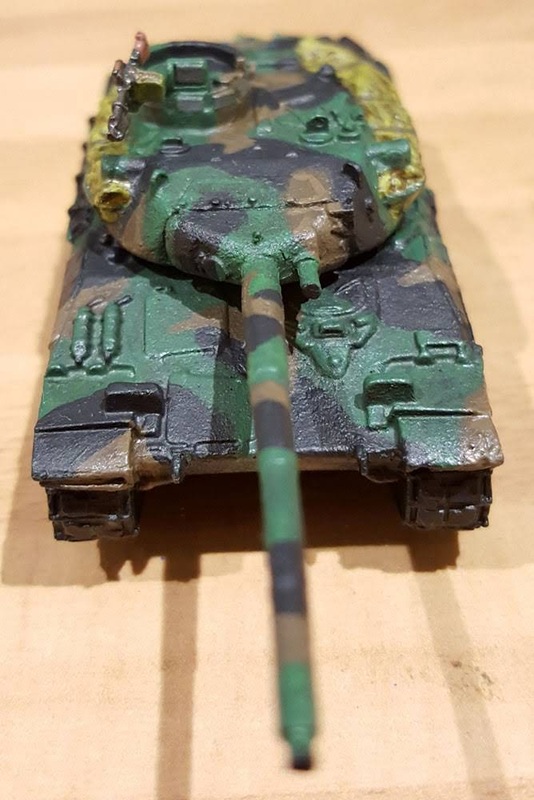 Tim requested the classic three-tone late-Cold War to present day NATO camouflage scheme, which will certainly make this vehicle stand-out from my khaki & green / khaki, green, & blue-grey Syrian vehicles; & from my grey-olive Israeli vehicles. As well as a 105mm main gun, the AMX-30 has a paraxial 20mm autocannon, & a 7.62mm GPMG pintle-mounted on the commander's hatch. I added the latter using an IDF MG from Peter Pig, as this QRF miniature didn't include one. This MAG MG isn't technically accurate, but it's close enough, & Tim pointed out that it could've been scrounged from the IDF if the original had been damaged. We'll be treating the autocannon as a .50cal HMG in Crossfire rules terms probably. 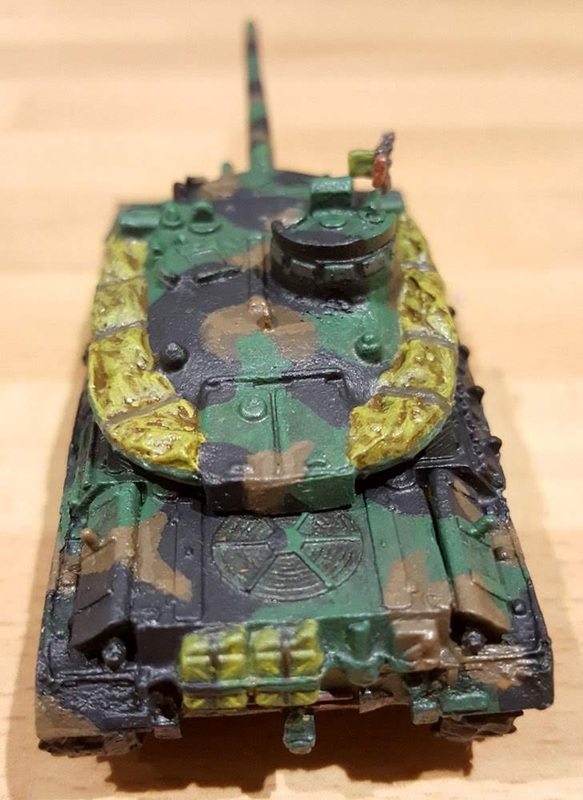 Thank you Michael, I think maybe it would benefit from a little more highlighting, but it's good enough for 15mm-scale wargaming.